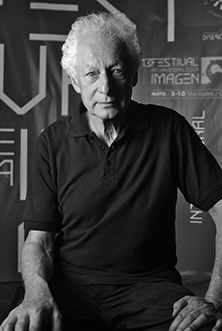 Robert Cahen is considered a pioneer in the history of video art. Over the last forty years he has been producing poetic work founded on universal themes such as journeys, encounters or death and charachterized by an emphasis on the texture and rhythm of the images. This visual experimentation derives from his previous experience as a composer in the ORTF Music Research Group and his transposition of the language of musique concrète onto video terms.Numerous workshops, residences and international festivals have gained recognition for Robert Cahen work all over the world .